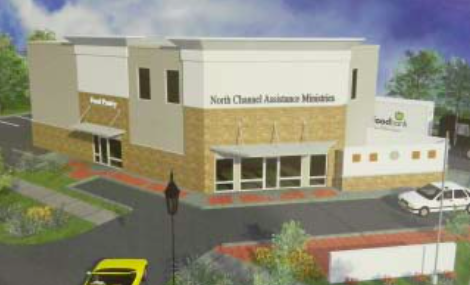 A NEW BUILDING for the North Channel Assistance Ministries will combing services of the Food Pantry with two other organizations, Betty’s Haven and Steps Counseling. The building will be at the current site, on Freeport Street in Cloverleaf. CHANNELVIEW – Rodney Redford is by nature an optimistic man, and in his position it helps a lot. 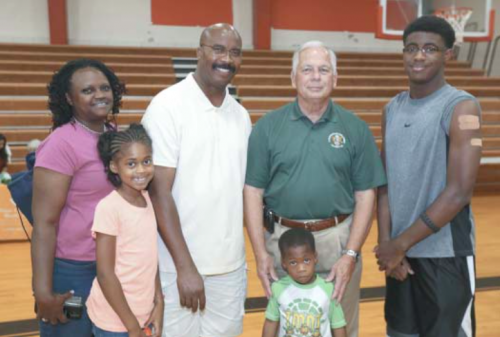 He is the director of the North Channel Assistance Ministries, and as such is responsible for the Food Pantry and many additional services for residents of the area that need assistance to live. The organization started in 1985. In his desire to provide adequate services to these families, NCAM has agreed to merge with two other organizations for more efficient delivery of help. NCAM will now include the North Channel Coalition, operating as Betty’s Haven, and the Steps Counseling organization. To accommodate all of this additional activity, Redford is planning on expanding, and building a new addition and remodeling of the building he now operates from, at the corner of Bonham and Freeport Streets in Cloverleaf.